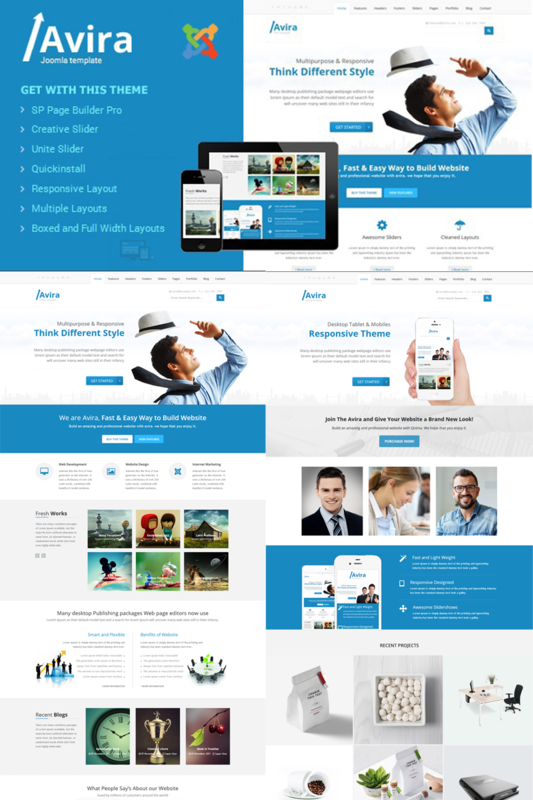 Avira is a Responsive Joomla (Desktop, tablet, mobile phoneâ€¦) simple, clean and Professional theme. It comes with Pages, Awesome Slideshows, Color Variations. Easy-to-customize and fully featured design. This theme suitable for Company, Business, Blog and Portfolio and much more. Create Outstanding Website or Blog in Minutes!